I shuffle through the remains of my food bag where the instant mashed potatoes and ramen packets now float in tuna sauce and oatmeal flakes. My trash ziplock is now viced shut and all forms of wrappers and goo compromise its hold. It’d been several days since I’d seen civilization. My clothes reek of the stench of putrid death and even crawling out of my sleeping bag required a deep breath before escaping my human burrito tomb. The smell is so bad, I can’t even let out a short sigh of relief as a last mountain pass yields a prized monument to the weary thru-hiker; a town. It has rained for so many days and there is moisture in every crack of my gear, every crack of me. Food is a very strong motivation to make it into town. 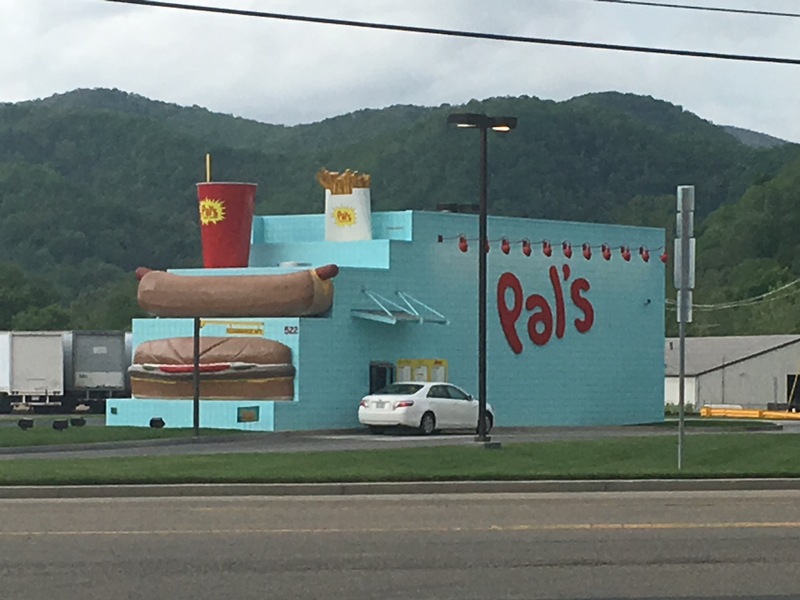 Pal’s Restaurant, Erwin, TN. Images of soft drinks, honey buns, Snickers, pizza and beer flash before my eyes and I quicken my pace to just above a slight burn on the knees and I half-jog the slaloms of switchbacks and log jumps to my oasis (why are towns always at the bottom of steep mountains?). Shuttles are one option for quick travel. 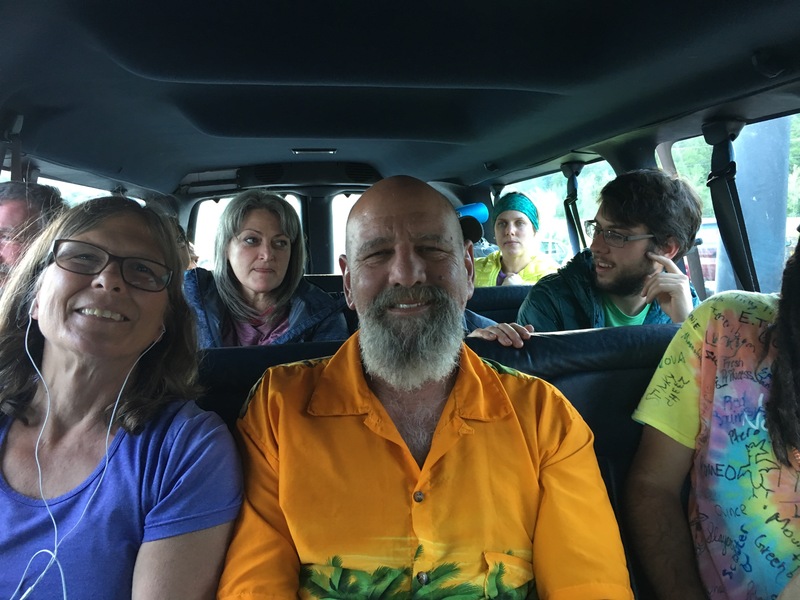 Mystic Waters and Palm Trees are two of the twenty hikers fit into a van. As I approach the streets below, I catch wind of Downey detergent on the nearest day hiker. A dog barks from below and the sound of someone blaring a radio pushes up through the foliage to my batty ears. I also smell food or the cooking of a local restaurant floating out of a chimney. A hostel manager ushers me off the trail and into a van crammed with a few of my dearest colleagues from the past few weeks. We sing songs and catch up, stopping our shenanigans only long enough to shout exclamations over a bump in the road or a sharp turn that sent passengers flying. Fast food, buffets and meal deals (TGIF 10 Dollar AYCE Appetizers!) become our nearest target. Hikers show off our mad eating skills by demolishing piles of food in seconds. Even the tiniest hiker can flip an Open sign to Closed for Repairs. After, we jumble into the shuttle again to get to the town’s local grocery store, Dollar General or Walmart, resupply, and head back to our respective hotels or hostel for the night. 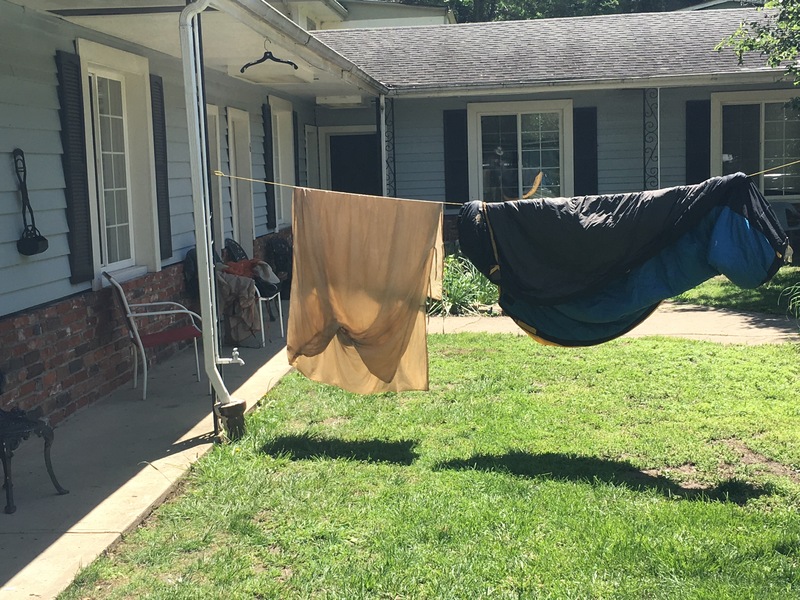 Wet clothes and gear hang low. Banisters, railings, and makeshift clothes lines are erected everywhere. In the morning, everyone either wakes refreshed or drunk from the escapades of the nightlife. Beer-O’s, or the drunken Zero day, allow thru-hikers a chance to socialize and party with friends who they hadn’t seen for a time. People tend to rise late, roll out of beds, and find their way to the nearest diner for breakfast. 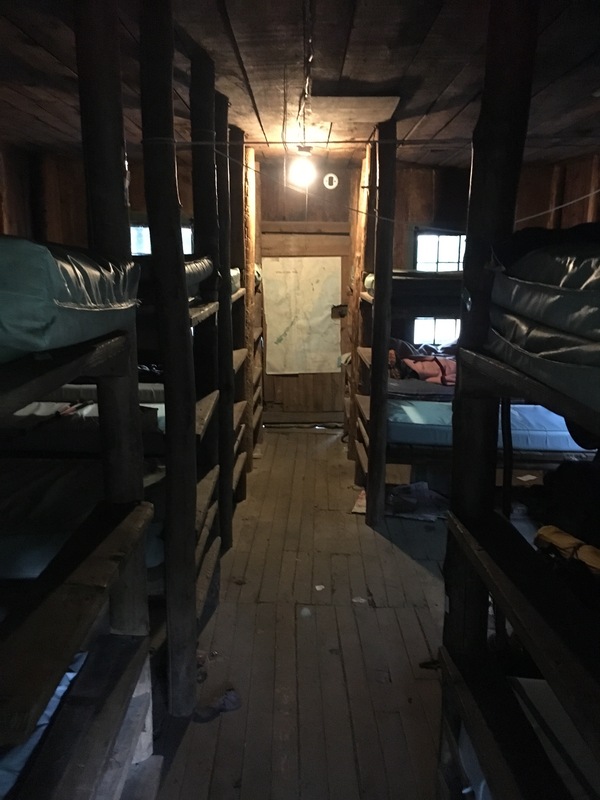 Standing Bear Hostel bunkroom, NC. I love traveling the AT and the unique experiences and people I continue to meet. I had the opportunity to hike with 47,000-miler and first female AT Yo-yo Mother Goose as she heads north this year. I’ve also met so many great trail angels. I love this community. 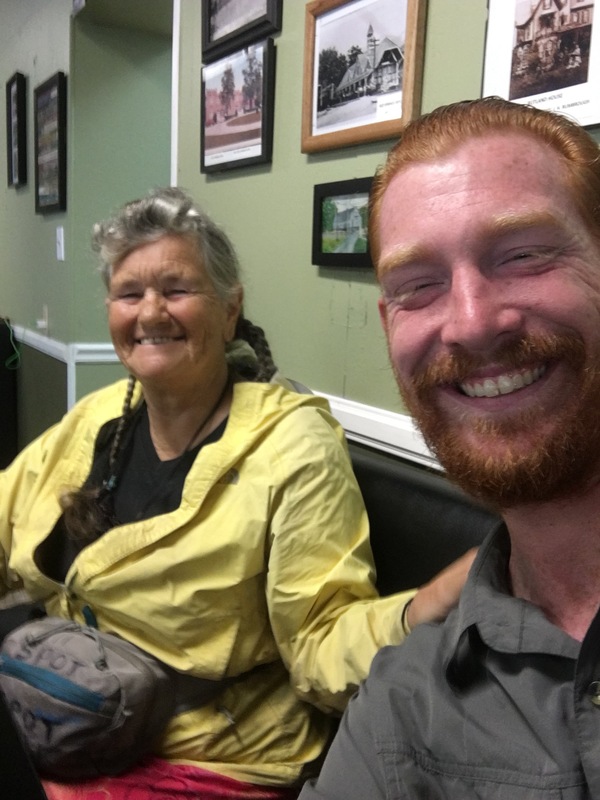 Author Barefoot Hiker joined hiking legend Mother Goose at the Smoky Mountain Diner, Hot Springs, NC. Jeremy G is a military veteran and enthusiastic hiker. Starting in Hawaii, Jeremy began the Barefoot Hikers, a social group aimed at trail restoration, history and conservation while building friendships. With some 300 hike events over nine years, the group reached 17,000 Barefoot Hikers without injury or fatalities (very rare in Hawaii). In 2016, Jeremy transitioned into the civilian world with hopes of continuing his hobby as more of a lifestyle. He set out to cover two of the National Scenic Trails, AT and the FNST. Follow along with the OG Hawaii 'Barefoot Hiker' as he attempts the AT!